From whimsical treats to dreamy decor, we've rounded up some of the best ideas for throwing a dazzling unicorn party of mythical proportions. Loads of shimmering sugar and rainbow-colored artificial food dye might seem like the key ingredients to pulling off a unicorn party. But we're here to tell you that you can still make your child's day magical without all the extra sugar and food additives you can't pronounce. From picture-perfect whimsical treats to dreamy decor and swag that won't go to waste, we've rounded up some of the best ideas for throwing a dazzling party of mythical proportions. No Pinterest fails here. These cute cupcakes have just enough unicorn details to evoke the mythical creature, but won't require an art degree to pull it off. What sets these cupcakes apart from the rest? Aside from the nutritional boost of white whole-wheat flour, these cupcakes are also decorated with naturally colored pastel sprinkles (see below)—a fitting palette for a beloved imaginary creature. A single gold candle stands in for the unicorn's horn. 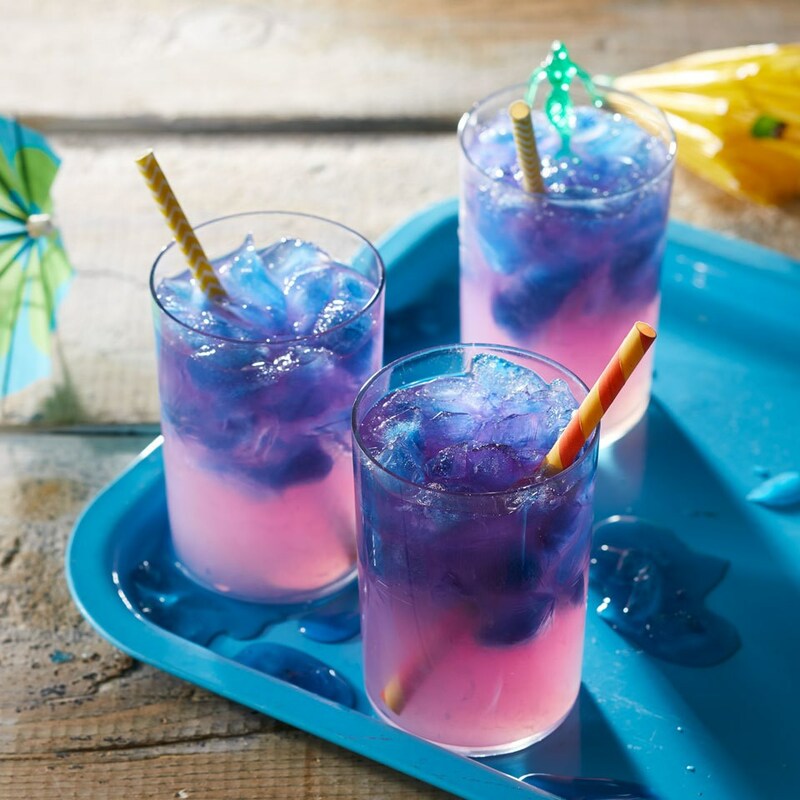 Kids will be wowed watching this delicious slush turn from blue to pink and purple in an instant. What's even more magical is that these slushies are completely natural: the color-changing concoction is made with natural blue tea (the tea is caffeine-free) that turns pink when you add lemonade to the mix. Garnish the glasses with mermaid and unicorn toys. These simple-to-make kebabs will add color to any party spread. 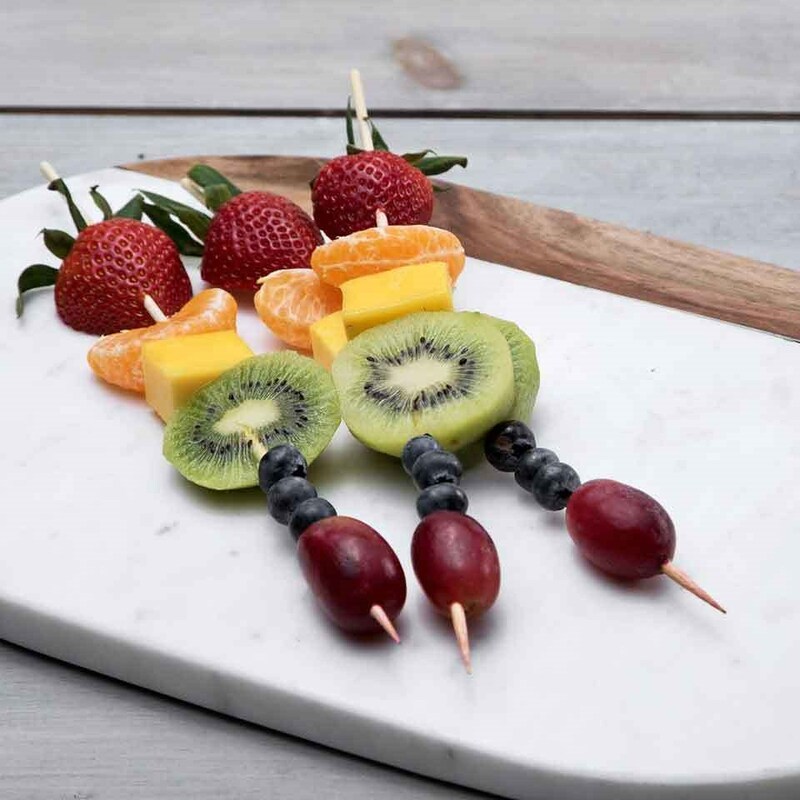 Customize them with your child's favorite fruit and arrange them in an arc shape on a large platter for a theme-worthy treat. We love the soft tones of India Tree's Carnival Mix sprinkles that are tinted with vegetable-based dyes. Use them to decorate cakes or cookies and the kids will ooh and aah in approval. If you can't find them at your local natural grocery (we've also spotted them at Whole Foods), you can order them online here. We love the collection of unicorn-themed party supplies from The Land of Nod, which includes everything from paper napkins and cups to magic wands. A big bonus: all the products feature a mix of bold primary colors with softer pastels—a clever combination that's pretty without being too precious. Find them here. Whether you're serving sparkly seltzer, strawberry milk or another special drink, these paper straws will help kids keep track of what they're sipping on (you can even use a marker to write each child's name on the front). Buy them here. Hanging a few clusters of these billowing balloon clouds in your party space is sure to set a shiny, happy mood. Find the instructions over on Martha Stewart's website here. A classic kids' party game gets a magical makeover in this downloadable game from Etsy seller Lindi Haws of Lovetheday. Pro planner tip: If you visit Lindi's site and sign up for her newsletter, you can score the game for free. Find it here or here. Forgo the usual party hats for these glittery horns that will do double duty as a take-home treasure after all the fun is over. Buy them here. Fill swag bags with these fun tattoos, or set up a station where kids can apply them as a party activity. Buy them here.